The view from 14,196’ can be quite spectacular. 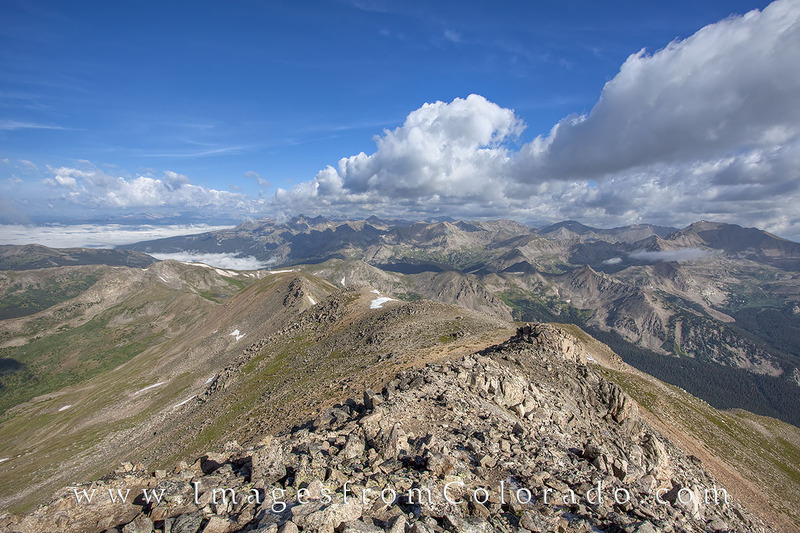 This vista comes from the summit of Mount Yale, one of the Collegiate peaks near Buena Vista. While this is one of my favorite images from a Colorado summit, what you can’t see is the howling wind. I had to hold down the tripod when shooting this photograph because the wind would have blown it off the mountain, literally. It was cold this morning, and a thin layer of black ice was on the rocks, making the ascent and descent a bit more treacherous than expected. Photo © copyright by Rob Greebon.